Rep. Paul Poirier (I-Barre) speaks against the tax bill Thursday on the House floor. Updated Friday, March 27, at 8:56 a.m.
House Speaker Shap Smith (D-Morristown) quelled a revolt Thursday fomented by legislative liberals unhappy with a budget they said cuts too deep and raises too little revenue. Joining with most rank-and-file Republicans, a group of Progressives and Democrats sought to kill a tax bill that would raise more than $33 million in new revenue. Their goal: to force top Democrats to collect even more in taxes and use the money to stave off budget cuts. After securing the votes of three Republicans and several Democrats who had planned to oppose it, Smith steered the tax bill through its first roll call Thursday afternoon. The vote was 76 to 67. Having fended off that challenge, House Democrats easily passed a nearly $1.5 billion general fund budget Thursday evening, by a vote of 96 to 46. Both bills face final passage Friday and will then move to the Senate. Though many saw Thursday’s vote on the tax bill as the biggest test of his speakership in years, Smith reacted nonchalantly to his victory. “I thought it would be pretty close, and it shaped up about the way I thought it would,” he said. But other members of Smith's leadership team appeared more nervous. House Ways & Means Committee Chair Janet Ancel takes testimony Thursday on amendments to the tax bill. Turner, who voted against the bill, argued repeatedly Thursday that he and his caucus opposed raising new revenue to close the projected $113 million gap between revenues and expenditures in next year’s budget. But Turner said he also hoped to ensure that a Republican would be appointed to the conference committee charged with settling differences between House and Senate versions of the bill. Under House rules, that requires at least one Republican to vote for it. Turner said he also worried that if the tax bill went down, Smith would negotiate with his left flank to secure sufficient votes for passage by raising and spending more money. “I think he wanted to make sure that, knowing that we would need to get to 76 [votes] either by moving to the left or to the right that we didn’t go back to the drawing board with a failed revenue vote,” she said. As the roll call neared, Turner and House Appropriations Committee Chair Mitzi Johnson (D-Grand Isle) retreated to her committee room with the four Republicans who serve on her panel: Reps. Peter Fagan (R-Rutland), Martha Feltus (R-Lyndonville), Robert Helm (R-Fair Haven) and Albert Pearce (R-Richford). According to Johnson, the four “were just feeling caught in a hard place” between the wishes of their caucus and their commitment to passing a budget they helped write. Johnson and Turner both said the last-minute meeting was not designed to pressure their colleagues to supporting the tax bill. “I did no arm-twisting,” Johnson said. In the end, Fagan and Feltus voted in favor of the tax bill, while Helm and Pierce opposed it. Joining him and Feltus in supporting the bill was Rep. Carolyn Branagan (R-Georgia), vice chair of the House Ways and Means Committee. She said she voted for it so that she might be appointed to the conference committee. “I’m very concerned about what might come out of the Senate, so in the name of keeping expenses under control, there needs to be a conservative voice,” she said. Rep. Jean O'Sullivan speaks to the House Democratic Caucus Thursday about an amendment to the tax bill. Smith succeeded not just by courting Republican votes, but by limiting the number of Democratic defections. 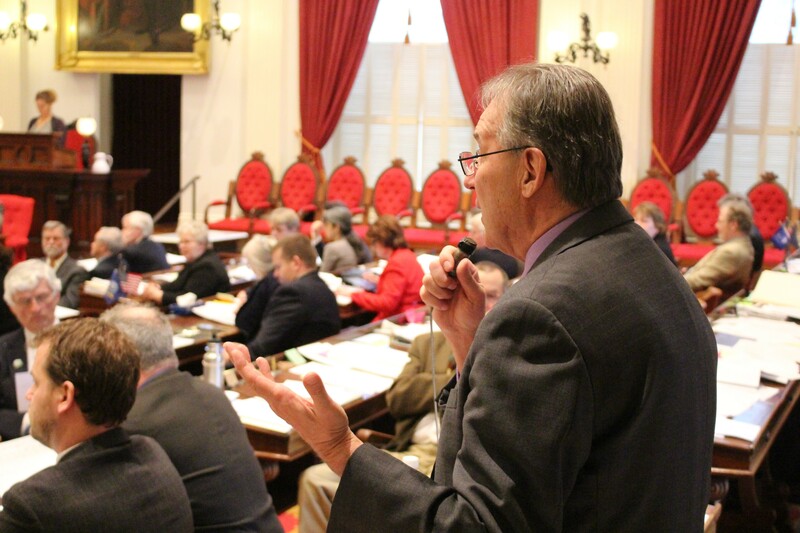 In recent days, the Working Vermonters Caucus urged its members to oppose the bill. Twenty-three of its members signed a letter to the speaker last Thursday saying they would vote against it. But Pearson and his colleagues failed to keep a number of allies within the fold. Several Working Vermonters Caucus members, including Reps. Kevin “Coach” Christie (D-Hartford), Rachel Fields (D-Bennington), Curt McCormack (D-Burlington) and George Till (D-Jericho), defected and sided with leadership. The caucus’ co-chair, Rep. Joey Donovan (D-Burlington), had pledged to oppose the bill, but she was absent Thursday. Colleagues said she was accepting an award in Boston. Rep. Paul Poirer (I-Barre) said he was disappointed in the Working Vermonters Caucus members he said had committed to voting no. Earlier Thursday, Poirer and his fellow liberals pitched two amendments designed to raise roughly $12 million apiece. One would levy a new, $2 per night hotel occupancy fee. The other would raise income taxes on those in the top two tax brackets. 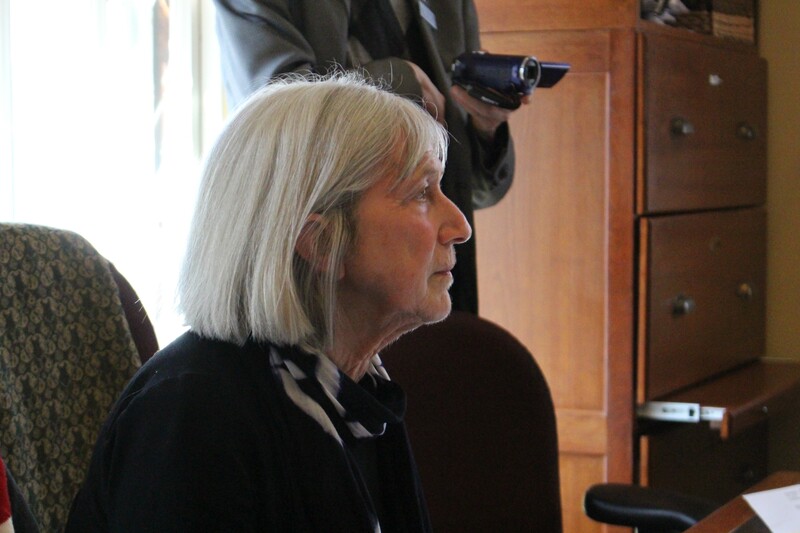 Caucus members reasoned that if either amendment passed, they could use the money to save imperiled state government jobs and prevent cuts to programs that support low-income Vermonters. But House Ways and Means Committee Chair Janet Ancel (D-Calais), who generally supports progressive tax reforms, said she could not support such amendments without taking additional testimony. 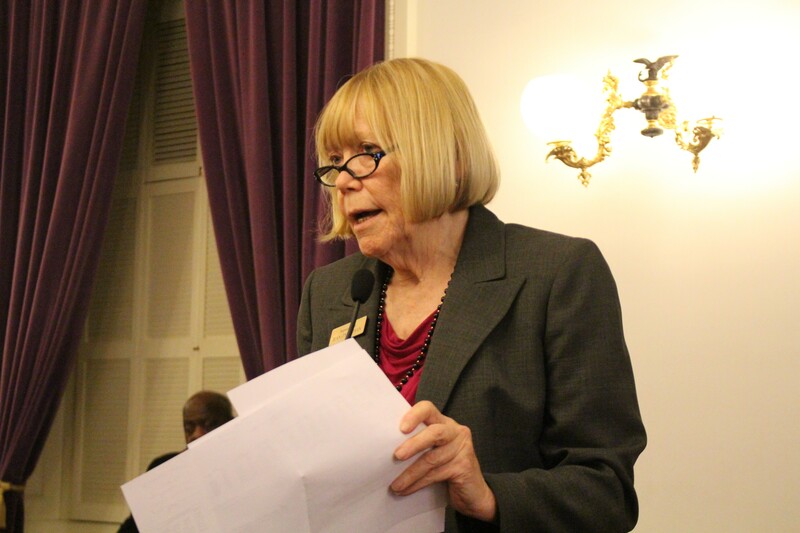 She argued that, between the House’s budget, water quality and health care bills, the body was already increasing the state’s tax burden significantly. Moreover, Ancel said, the underlying tax bill would raise more than $33 million, largely by targeting upper-income Vermonters. It would do so by eliminating a deduction for the previous year’s state and local taxes and by capping itemized deductions at 2.5 percent the standard deduction. That translates to $15,500 for individuals and $31,000 for couples. The hotel occupancy fee amendment failed by a vote of 124 to 16. The income tax increase went down 43 to 98. After the underlying bill won preliminary passage Thursday afternoon, Pearson criticized Smith’s decision to court conservative votes. “If the speaker wants to turn to Republicans to pass his bills, that’s a choice he can make, but I think you’re only going to see more and more discomfort with that strategy,” he said.